She is the author of the nonfiction book titled Love Him Anyway: Finding Hope in the Hardest Places which is published by Ambassador International. Below is my review of the book and where you can connect with Abby Banks. 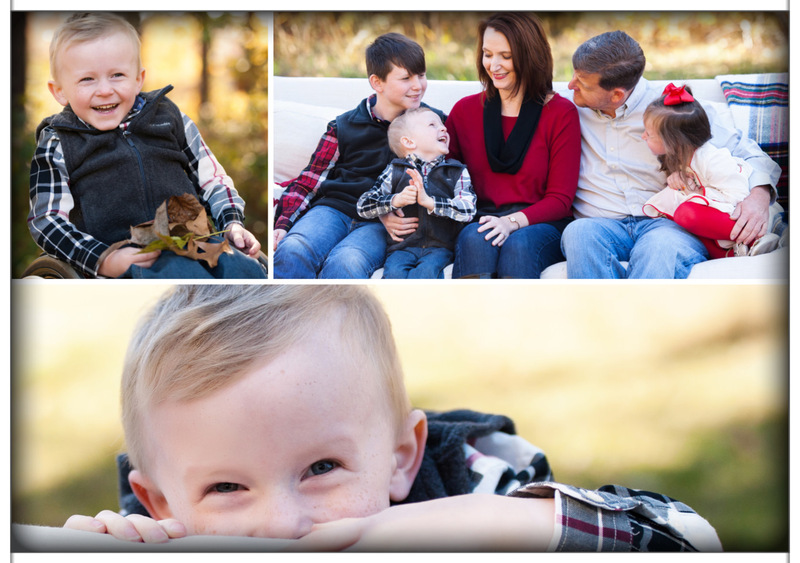 Abby Banks wrote a book of raw honesty and a look into the life of a Christian parent. We all struggle with feelings of selfishness and unselfishness, that duel between anger and love, and the ping-pong effect between bitterness and praise. 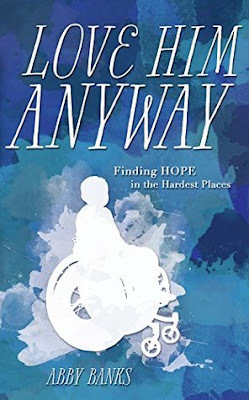 Love Him Anyway is such a heart-touching soul-wrenching testimony that leaves the reader breathless and needing to set the book aside in order to ponder those words written. "My wrestling sessions with God happened in the quiet and darkness of night when sleep wouldn't come and the eyes of the world weren't on me." How many times have we felt we had to put on a "good face" for others, and then end up in our own wrestling match like Jacob? "God didn't make me or Wyatt or anyone for a life of simple existence. We were made to live and experience life to the fullest, whatever that may look like." I had to laugh at his part because it brought to light a new meaning to NeedtoBreathe's song Happiness. We aren't meant for a simple life. We are encouraged to chase our dreams and glorify the Lord. "I serve a God who has the power to part seas and bring the dead to life." How powerful is that statement? Through all our hardships, our boomeranging emotions, and even through our praises, God is there for us and never leaves us. We are that special to Him. In Love Him Anyway, this is made more evident. And the title has its own impact. Yes, they love Wyatt anyway, and they also love God anyway, too. I encourage everyone to take a chance and read Abby Banks' Love Him Anyway. It's a true gift to every reader. 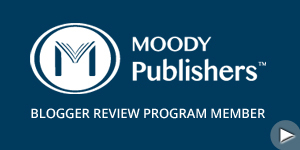 Below is a list of place where readers can connect with the author. 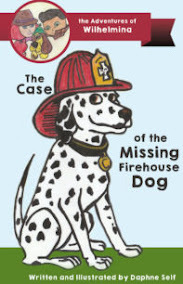 And click on the book's title anywhere in this post to buy the book. Win a signed copy of Love Him Anyway! So excited to read the book!!! 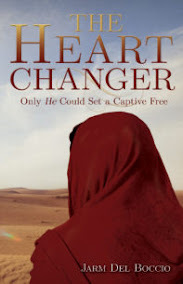 You will be amazed at the honesty and how much you can relate to her faith. I hope you get the chance. It was an amazing book. This week I would like to introduce Ambassador International author Matthew J. Romano as our second guest for the Rebel Book Reviews Author Highlight series. 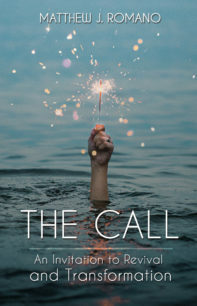 His book The Call: An Invitation to Revival and Transformation is a book that will have the readers pondering and immersing themselves into God's word. Written with blunt honesty and unconditional love, The Call is truly a transformative book. Here are what a couple of people have to say about it. Rev. Juan Garcia, life coach to NBA and NFL players and author of The Men's Struggle Cycle, writes, "This book is a gem. Get ready to go on a journey of discovery and ultimate transformation that will challenge ever aspect of your purpose in Christ." Bill Paige of Hope on a Rope: Lifelines for Knuckleheads says this: "What an incredible book. 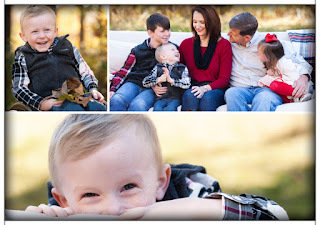 It was refreshing and convicting for my own personal life." I would like to introduce Ambassador International author AnnaLee Conti as today's guest on Rebel Book Reviews. 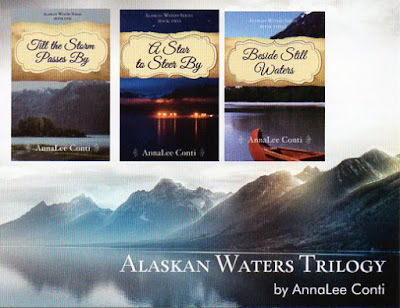 The Alaskan Waters Series are compelling novels that take the reader on a journey using descriptive details and beautiful prose. 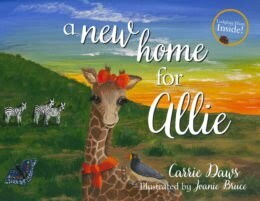 To start off the first of Rebel Book Reviews Author Highlight series, I would like to welcomeCarrie Daws, author the newly released children's book A New Home for Allie. A New Home for Allie is a wonderful children's book for those children who experience a lot of uprooting and relocation in their lives, especially those in military families. 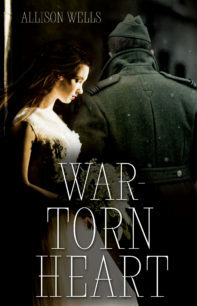 Carrie has a soft spot for the military families since she has lived the life. 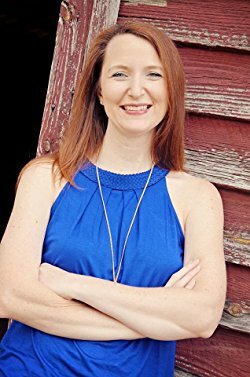 She has not only written a children's book, but there are several fiction and nonfiction titles available to her readers. You can view the variety she offers here: Carrie Daws. 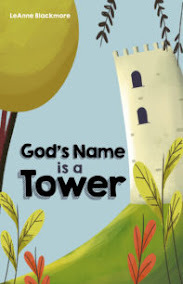 Her new book comes with great endorsements by authors many readers may recognize: Carrie Fancett Pagels, Diana Lesire Brandmeyer, Edie Melson, Jocelyn Green, and Patricia Beal. 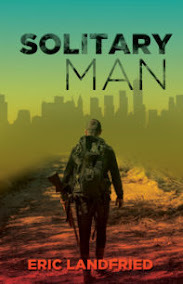 <RBR> If you have to break out of your comfort zone to write a novel, what genre would it be? Why would it be different from your normal style?